Imagine as you are perusing the internet, looking for anything to distract you from work, you see the cutest puppy. He has just been picked up off the side of the road and desperately needs a home. You immediately call your husband and beg. Like a little kid, you promise all of the responsibilities will fall on you. You'll walk the dog, you'll feed the dog. It'll be easy, you promise. He finally says yes. You go pick up the dog and immediately fall in love. He lays his head on your shoulder as you drive home. You post a picture of the two of you on Facebook. You name him Walter. You have no idea how to raise a puppy, so there are some accidents. He ruins your guest bedroom carpet and tears through his crate and dog bed while you are working. You call your husband apologizing. But when he arrives home, you both just laugh. You leave the mess, pour a few beers and take him to the dog park, his tail wagging at everyone that passes. Your husband holds your hand the entire time, smiling at your dog as he sprints around the park, his over-sized ears flopping aimlessly. You start to notice how much Walter enjoys the company of people, so you begin taking him to coffee shops and patios. Everywhere you go, he becomes the center of attention. He starts sleeping in your bed. He becomes a permanent fixture on your couch. And he gives you comfort when your husband is traveling. When you have kids over, they gravitate towards Walter. He gently nudges his nose on their face, making them laugh. He drops his ball right in front of their feet, hoping for a chance to play. Despite your reservations and his size, he is gentle and docile. You get Walter Therapy certified, so he can volunteer in retirement homes and hospitals. His face lights up whenever someone approaches him. Walter's the type of dog that makes everyone's day better. Walter's the type of dog that makes your day better. But Walter is also a pit bull. When you post a picture on Facebook of your new dog, someone comments, "He'll be really cute when he turns two and bites the face off of your child." For the first time in your life, someone's comment on the Internet makes you cry. You meekly ask your Veterinarian to lie about his breed on his vet records. When you go to coffee shops or patios, you call ahead and make sure they are pit bull friendly. You get kicked out of a local brewery because of the way Walter looks. 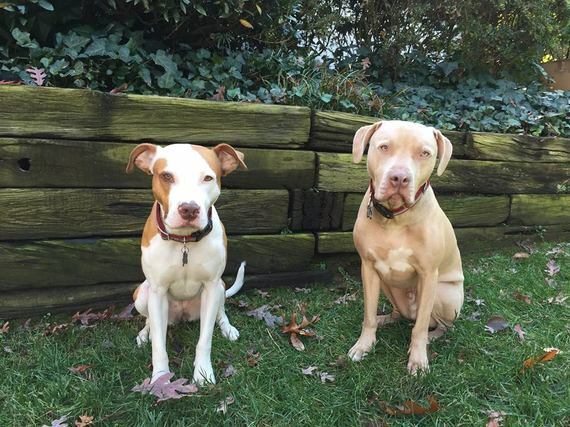 You move out of your apartment because of breed-specific policies. Despite his Therapy dog certification, people still cross the street when you're walking in your own neighborhood. They jerk their kids away. They move their table to the other side of the patio. They ask if he's dangerous. You adopted a pit bull. You adopted a dog. You adopted an animal. You adopted a life. And you vowed to protect him. 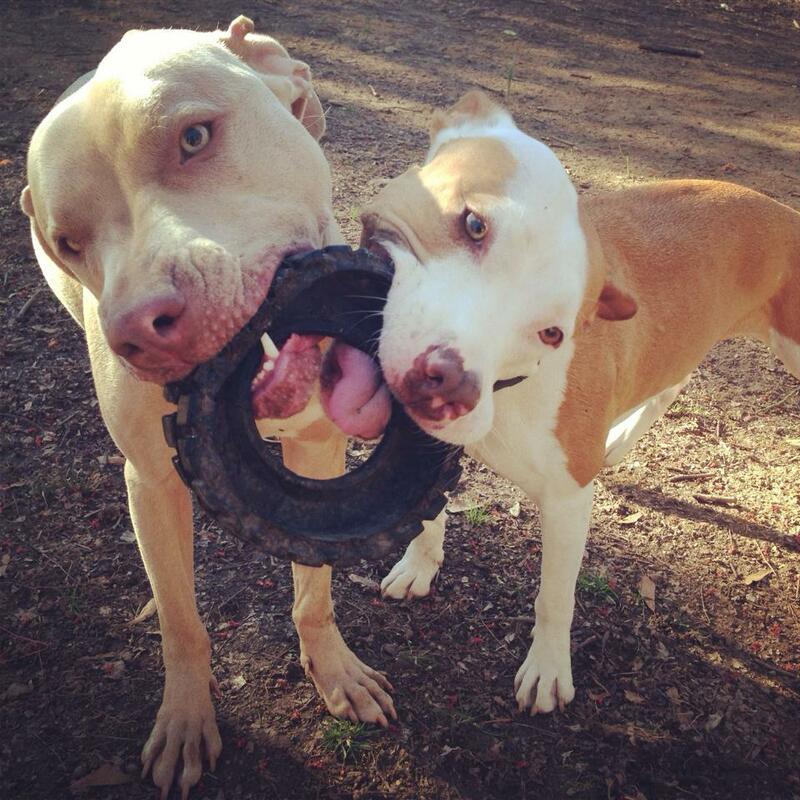 So when PETA announces their radical policies on pit bulls, the anger fills your chest. 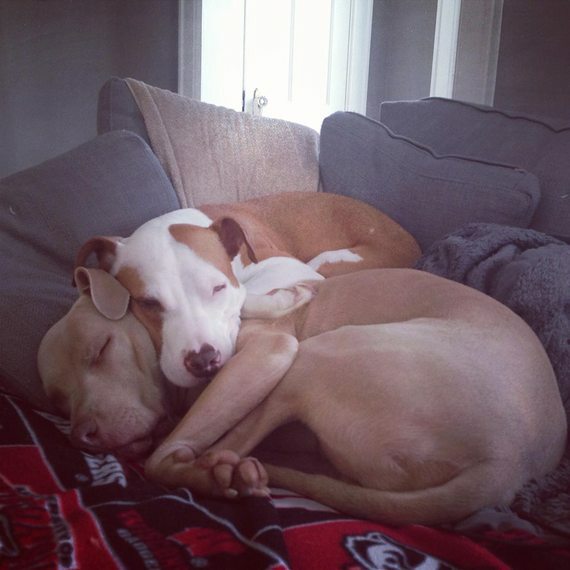 You sit down to write a blog post that will hopefully shed some light on what being a pit bull owner really feels like. 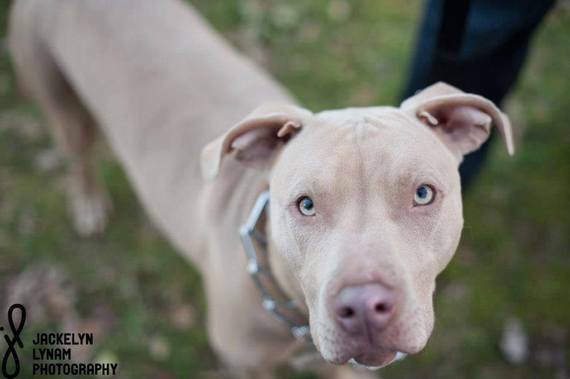 Because they're not talking about pit bulls, they're talking about your dog. They're talking about Walter.